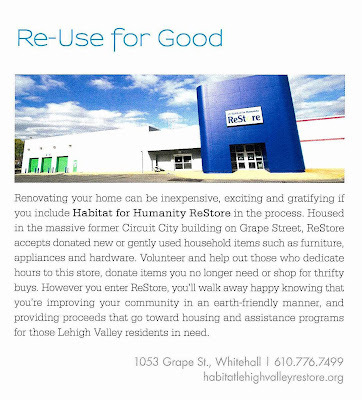 W2A Design Group recently provided professional architectural services to Habitat for Humanity, fitting out their new "ReStore" facility in Whitehall PA. The project is featured in the August issue of 'Lehigh Valley Style' magazine, on newsstands now! 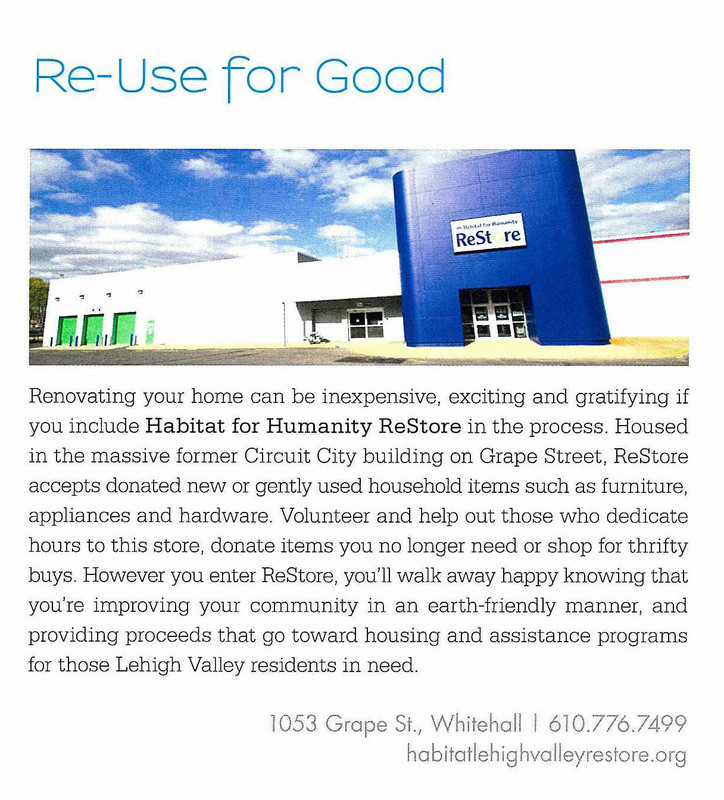 This new thrift store, appropriately housed in a renovated building, resells donated household items, with proceeds benefiting assistance programs and housing for Lehigh Valley residents in need. W2A, thinking green, at an all new level!